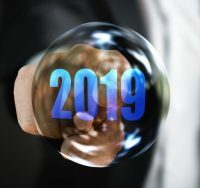 LAWPRO is pleased to report that the base premium for 2019 will remain unchanged at $2,950. As in previous years, there is no need to change the premium as our claims management and cost containment efforts, together with investment income, are expected to cover projected claims costs. To better align the cost of insurance with its associated risk, LAWPRO will continue to apply the same levies to real estate and civil litigation (non-family) transactions. These levies will remain $100 for civil litigation transactions and $65 for real estate transactions. Since the rate and cost of civil litigation (non-family) and real estate claims remain high compared to the base premiums received from practitioners in these areas, the relationship between these costs and premium revenues collected from lawyers primarily practising in these areas will continue to be monitored to determine whether any further action should be taken on these categories in future years. reduced its default period for failure to complete filings and pay fees and levies to 60 days. Accordingly, for LAWPRO matters, the default period will be reduced to match those set by the Law Society. Beginning on January 1, 2019, the period of default for failure to pay an insurance premium levy and to file and pay civil litigation and transaction levies, plus applicable taxes, will be 60 days after the day on which payment or filing is due. Lawyers who fail to make the requisite filings and payments to either LAWPRO or the Law Society of Ontario are subject to summary suspension. Following a missed due date, lawyers are reminded in writing that they are in default of their administrative obligations and provided with notice prior to referral for formal suspension following the default period. Both the Law Society and LAWPRO conduct various types of follow-up prior to suspension being pursued, and ultimately names are submitted to a designated bencher to authorize the suspensions. To achieve greater consistency with Law Society administrative practices, the reinstatement fee that is owing by lawyers who are administratively suspended for failure to pay LAWPRO levies will also be increased to $300 from $150, plus applicable taxes effective January 1, 2019. Further, administrative suspensions resulting from the failure to pay deductibles will, as of January 1, 2019, result in the application of the reinstatement fee. Currently, no such fee applies with respect to suspension for failure to pay deductibles under the program. No reinstatement fee will apply in respect of suspension just for failure to file outstanding LAWPRO real estate and/or civil litigation transaction reports. 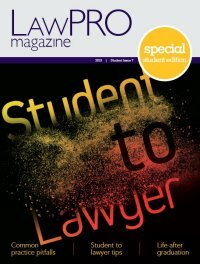 LAWPRO is supportive of efforts by the Ontario bar to encourage access to justice and address human rights concerns pertaining to the provision of legal services to members of the public who might otherwise not be able to afford legal representation. If the proposed Civil Society Organizations (or such other non-profit service providers as the Law Society may provide for that act for no-fee and which promote access to justice and the interests of human rights for low-income Ontarians) are approved by the Law Society to provide legal services directly to the public, LAWPRO will expand the use of its Designated Agencies discount and accept applications for possible premium discounts for employee lawyers in respect of such organizations.